From his office, responsible for dealing with family law in New York and Long Island, Mr. Darren M. Shapiro, Esq. deals with a number of complicated cases. Often, the most complex and challenging cases to address in family law, are those that involve children, as these cases demand a consideration of various details, alongside the best interests of the child. When people approach Mr. Shapiro regarding the standing and rights that grandparents have in relation to child visitation and custody, he offers as much information as possible regarding what they may expect, which could include covering the details of other, previous cases. 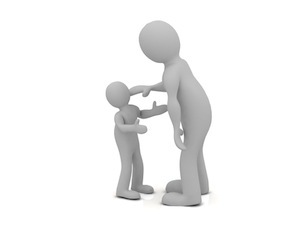 In New York, grandparents have the right to petition the court for custody or visitation provided that they have the correct "standing" to do so. As Mr. Shapiro advises his clients, the term "standing", refers to the fact that the grandparent in question must meet a set of particular requirements in order to bring their matter before the court. In the case of grandparent custody or visitation, most clients are regarded to have standing if one or both of the child's parents are deceased, or if there are extraordinary circumstances involved. Recently, in the highest court in New York: the Court of Appeals, a case took place regarding Suarez v. Williams, considering a dispute of custody between paternal grandparents, and a child's mother. The child in this particular case lived with those grandparents since he was 10 days old, until he was almost ten years old. Although the father was granted visitation, he lived outside of the state, and the mother of the child lived close to the paternal grandparents. When the child turned four, the parents were given an order that awarded joint legal custody, though the mother had primary custody over the child. However, despite this, the child continued living with his grandparents in a county nearby. For two years, the mother had little contact with her child, until she was moved closer by the grandparents. At that point, the mother talked to the grandparents about the child each day, and received overnight visitation and vacations. In 2010, the mother arranged circumstances to live with her boyfriend, and in 2012, the father attempted to remove child support and receive full custody. However, the mother would not give the child back to the grandparents, and used the order from 2006 to establish her primary custody. During the process, the mother argued with the grandparents that it was her turn to be with the child, and they couldn't see him. As a result, the grandparents sought out custody over the child. Often, in regards to cases of custody and visitation, Mr. Shapiro will represent his clients at the New York family court, like the lawyers did in the case being discussed. In this particular case, the Family Court suggested the mother wasn't credible, and because the disruption of custody between child and mother was so long - and the mother had given the child to the grandparents voluntarily, extraordinary circumstances could justify offering an order of joint custody to the father and grandparents, with primary custody applying to the grandparents, and visitation for the parents. However, soon after, an appellate court disagreed with this finding, and suggested that the grandparents hadn't displayed any extraordinary circumstances, because the mother in question had remained present within the child's life. As a result, the grandparents were not allowed to request custody, and the petition was dismissed - causing the grandparents to appeal. An explanation was given by the appellate court, the New York Court of Appeals, that a nonparent is allowed to request custody over a parent, but there is a test involved that is designed to determine with a nonparent is more appropriate as a guardian than a parent. This test requires the nonparents to prove that, first, there are circumstances, such as extended custody disruption, abandonment, unfitness, or surrender, and second, it is in the child's best interests to stay with the non-parents. As Mr. Darren Shapiro reminds his clients, Domestic relations Law 72 underlines that so long as the grandparents have extraordinary circumstances, then they have the right to request custody, and the court will have the power to make decisions according to the best interests of the child, even if this means giving custody rights to the grandparents. However, in order to show an extraordinary circumstance such as extended custody disruption, grandparents need to establish that the parent voluntarily gave up control and care of the child during a 24-month period wherein the child was living with his or her grandparents. In the case mentioned above, the court underlined that the child had lived primarily with his grandparents for almost ten years. On the other hand, in the afore-mentioned case, the mother suggested the separation had taken place so that she could meet with the requirements of Domestic Relations Law, and suggested that separation hadn't taken place because she continued to speak to and see the child. However, the court disagreed with the mother, and explained that an absence of contact during the 24-month required period was not a statutory element, and that they must consider the complete circumstances. Even though the parent had visitation with the child, they needed to determine whether the grandparents had acted as parents to the child during the 24 month period. During the court procedure, the mother admitted to signing documents that gave the grandparents control over medical and educational decisions, though she argued that she maintained ultimate control. However, the court found that the grandparents in question had shown the required extraordinary circumstances for them to seek out custody. From that point, the appellate division was required to determine whether the child's best interests lay in remaining with the grandparents in their primary physical custody. In cases regarding grandparent custody and visitation, Mr. Shapiro can help his clients move through complex legal circumstances. However, the burden falls on the grandparents to prove that living with them will be in the best interests of the child, based on factors such as the child's relationship with the parents and grandparents, the child's preferences, and so on. For more information about issues of custody and visitation, please contact the Law office of Mr. Darren M. Shapiro via our online form, or through a phone call at 516-333-6555. We look forward to hearing from you.